Join us for the 24th Annual Golf ‘Fore’ Hearth Place charity golf tournament. We are excited to be back at Wolf Run Golf Club for a fantastic day on the course! Don’t forget, you can also purchase your Passport (for mulligans and inclusion in on-course competitions) ahead of time by adding to this order! 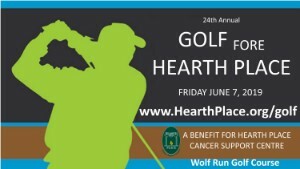 How did you hear about Golf ‘Fore’ Hearth Place?